Do you want a customized home, but you’d rather not go through the process of building it from scratch? 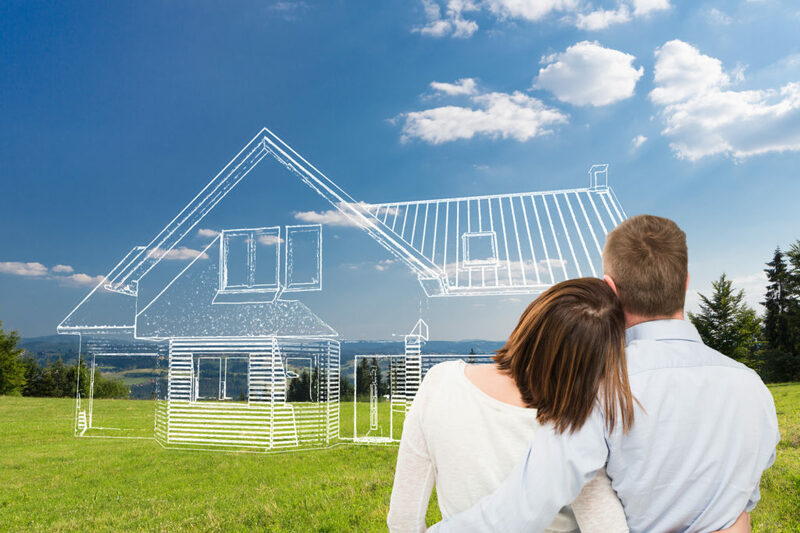 There’s a reasonable alternative to buying a generic home or building one from the ground up; here’s how to buy a new house that you can have customized to your dream specifications. Making your dream home a reality can be harder to build on your own than to find. Most of the time, you’re better off researching how to buy a new house than you are trying to go through all the steps of home construction. Buying a new home doesn’t mean you get stuck with someone else’s idea of a dream house. It’s totally possible to create the absolute perfect setting for you and your family with real estate options that are already set for moving in. You just have to be a little creative with how you go about buying and what you’re looking for. Here are three amazing approaches to use when you want to find your dream home. Your new home doesn’t have to be a home someone has previously lived in. It can be a brand-new house that has recently been constructed and is just waiting for you to purchase it. This is how many development areas transition from construction projects into thriving neighborhoods. They set up display homes for buyers to visit, just like you would go on a tour of the actual home you plan to move into. But, there’s an added bonus: when you purchase a home that has been previously planned, yet still in construction, you can usually add a few tweaks here and there. Maybe you’d like a bigger bathtub in the master’s suite or larger windows by the dining area. These will usually raise the price of your home a bit, but if it means having the house you’ve always wanted, is there really a price that’s too high? Before you purchase a home that’s soon to be ready, though, consider the following. Where are you really moving into? Sure, you’ve seen the lot and know the address of your new home, but consider the area around it too. Check for everything from local schools to the nearest grocery store to how far of a commute you’ll have into work. Each of these details will have an effect on your quality of life. The last thing you want to do is fall in love with a “dream home” only to end up in a location that’s a bit of a nightmare. Another thing that may make things go south is if the builders are a bit negligent. Construction companies can get in a lot of trouble for cutting corners and diminishing the expected value of a home, which is why most of them do their due diligence. Still, if you end up in a home with a weak foundation or faulty appliances you’ll also end up in more trouble than you bargained for. Keep this from happening by doing your research in full. At the end of the day, it all comes down to the home you’re about to purchase. Maybe you can compromise on location a bit for the perfect home, or you’ve already heard of the kind of work these builders produce. It’s still a good idea to get the home inspected. This ensures everything is in its place, working properly, and safe for you and your children to move into. Ask the inspection company for all the details you can, from the strength of each faucet water pressure to how well each outlet works. Instead of buying a home that’s recently been constructed, you may want to look into homes you can do a few home improvement projects on. These are called fixer-uppers. A fixer-upper is something that is close to your dream home, but not quite there. Yet, it can become the home you’ve always wanted with a little bit of sweat and hard work. Before you let your imagination get away from you, though, think about the two things below. Many homebuyers like the thought of getting a fixer-upper because the starting price is usually lower than the average sale costs in the surrounding area. Once you calculate the added costs of home repairs, though, your “great deal” may end up costing just as much or even more than another home in the same market. Take a step back and consider just what you want to do with a home that has potential to be better. Are you going to tear down the wall between the kitchen and living room for an open floor plan, or do you want to add an entirely new room on the side of the house? These are bigger projects than most people assume. The costs add up quickly, not to mention all the tie it will take to complete before you can actually move in. There’s a big difference between transforming one or two rooms in the house and having to remodel the entire fixer-upper you purchase. Some people argue it’s worth taking on the entire home if the final result is truly your dream house. Others think it’s better to take all the remodeling efforts you’d spend and put them towards building a brand-new home from the ground up. At the end of the day, the decision is up to you, but the pros and cons are things to take seriously. In this case, it may actually be better to build than to remodel. The final thing to consider when you’re thinking about how to buy a new house is what a few minor touch-ups can do. Maybe you don’t need to tear down walls or get new flooring for the whole house. Maybe, a paint job and the right furniture can do the trick. Take a good look at your top choices for your new home. Walk around them and imagine the living space you want to create within these walls. Whether you want a home that’s warm and inviting or beautifully bold, there are plenty of easy design tips to achieve the look you’re going for. Sometimes, all you need is the right sofa set, some creative bedroom lighting, and a few window treatments to take your new home to the next level. Your dream design might be more within reach than you think! How to Buy a New House: Budget, Plan, and Be Patient! The home-buying process is not necessarily “easy”, but you don’t have to overcomplicate it. Be flexible with your definition of a “dream home.” Also remember, regardless of how big your bathroom is or the view you get from the living room, what really matters is the people you get to share your home with. Sit down with your family and discuss what each of you is looking for in a new home. Talk to your spouse and set a budget, then contact a realtor for further support on how to buy a new house. Lastly, be patient – this process takes time! It will all be worth it once you’re settled into the perfect place for you. For moving tips to get you into your new home, click here.